The shallow cross indention in the screw head identifies a Pozidriv fastener. The Pozidriv bit and recess design provides contact than a standard Phillips for more torque. The Pozidriv, sometimes misspelled Pozidrive, screw drive is an improved version of the Phillips screw drive. The Pozidriv bits' advantage over Phillips drives is its decreased likelihood to cam out, which allows greater torque to be applied. Pozidriv bits are very similar to, and essentially compatible with, the Supadriv screw drive. The Pozidriv screws and drivers have straight sided flanks. The Pozidriv screwdriver and screws are also visually distinguishable from Phillips by the second set of radial indentations set 45° from the cross recess. This design is intended to decrease the likelihood that the Pozidriv Bit will slip out, provide a greater driving surface and decrease wear. #1 Pozidriv Zephyr power drive bit, 1/4'' hex shank, aircraft intermediate hardness, 1 15/16'' overall length. #1 Pozidriv Zephyr power drive bit, 1/4'' hex shank, industrial extra hard, 1 15/16'' overall length. #2 Pozidriv Zephyr power drive bit, 1/4'' hex shank, aircraft intermediate hardness, 1 15/16'' overall length. #2 Pozidriv Zephyr power drive bit, 1/4'' hex shank, industrial extra hard, 1 15/16'' overall length. #3 Pozidriv Zephyr power drive bit, 1/4'' hex shank, aircraft intermediate hardness, 1 15/16'' overall length. #3 Pozidriv Zephyr power drive bit, 1/4'' hex shank, industrial extra hard, 1 15/16'' overall length. #1 Pozidriv Zephyr power drive bit, 1/4'' hex shank, industrial extra hard, 2 3/4'' overall length. #2 Pozidriv Zephyr power drive bit, 1/4'' hex shank, aircraft intermediate hardness, 2 3/4'' overall length. #2 Pozidriv Zephyr power drive bit, 1/4'' hex shank, industrial extra hard, 2 3/4'' overall length. #3 Pozidriv Zephyr power drive bit, 1/4'' hex shank, aircraft intermediate hardness, 2 3/4'' overall length. #3 Pozidriv Zephyr power drive bit, 1/4'' hex shank, industrial extra hard, 2 3/4'' overall length. 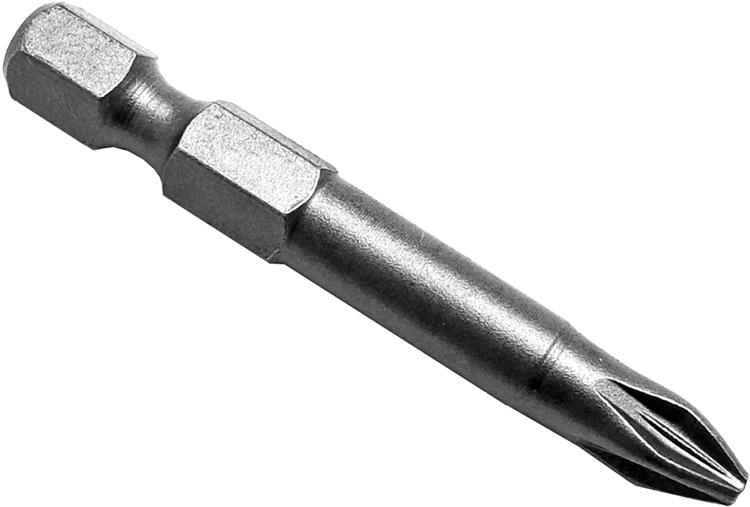 #1 Pozidriv Zephyr power drive bit, 1/4'' hex shank, aircraft intermediate hardness, 3 1/2'' overall length. #1 Pozidriv Zephyr power drive bit, 1/4'' hex shank, industrial extra hard, 3 1/2'' overall length. #2 Pozidriv Zephyr power drive bit, 1/4'' hex shank, aircraft intermediate hardness, 3 1/2'' overall length. #2 Pozidriv Zephyr power drive bit, 1/4'' hex shank, industrial extra hard, 3 1/2'' overall length. #3 Pozidriv Zephyr power drive bit, 1/4'' hex shank, aircraft intermediate hardness, 3 1/2'' overall length. #3 Pozidriv Zephyr power drive bit, 1/4'' hex shank, industrial extra hard, 3 1/2'' overall length. The PZ1101A275 Zephyr 1/4'' Pozidriv #1 Power Drive Bits, For Machine Screws is one of thousands of quality tooling products available from MRO Tools. Please browse Zephyr Pozidriv Power Drive Bits for tools similar to the PZ1101A275 Zephyr 1/4'' Pozidriv #1 Power Drive Bits, For Machine Screws. PZ1101A275 Zephyr 1/4'' Pozidriv #1 Power Drive Bits, For Machine Screws description summary: #1 Pozidriv Zephyr power drive bit, 1/4'' hex shank, aircraft intermediate hardness, 2 3/4'' overall length. Quantity discounts may be available for the PZ1101A275 Zephyr 1/4'' Pozidriv #1 Power Drive Bits, For Machine Screws. Please contact MRO Tools for details.